about it. I'd be happy to link up to you! See these printables in action! 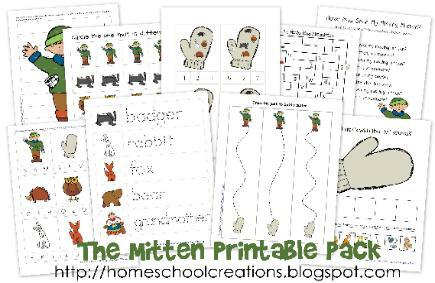 Don't forget to visit my blog and see all the hands-on activities to go along with this printable pack. You can read more about our unit here: Preschool Corner ~ The Mitten. from this early learning pack as you would like.